RAYC Members had awesome results at the ISAF Sailing World Cup in Weymouth over the last few days. Current Yachtsman of the Year Peter Burling with his crew Blair Tuke took the 49er Gold Medal giving this awesome team their 17th straight regatta win. 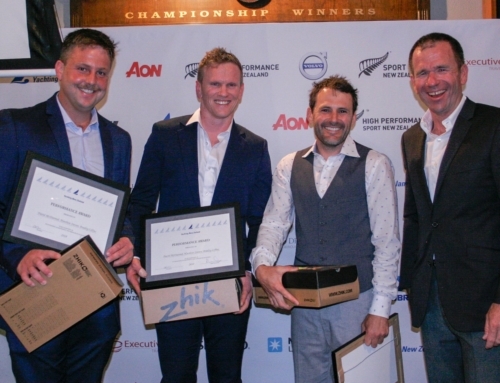 Peter Burling & Blair Tuke with Marcus Hansen & Josh Porebski. Photo by Sailing Energy. “This was our first win in Weymouth,” says a delighted Burling. Fellow members and Burling & Tuke’s training partners Marcus Hansen and Josh Porebski finished with the Silver medal. A fantastic achievement for these sailors who are both destined to follow in the footsteps of Burling & Tuke. 49erFX sailors Alex Maloney & Molly Meech also finished with the Silver Medal. Alex Maloney & Molly Meech. Photo by Sailing Energy. “It was a pretty nice week sailing in Weymouth, we got some pretty good races in but we had a disappointing Medal Race and we can learn lot from it.” said Maloney. The 49er and 49erFX fleets will sail their 2015 European Championship next month in Portugal, building towards August’s Aquece Rio International Regatta (Olympic Test Event) and then the 2015 49er World Championship being staged in Buenos Aires, Argentina in November. Sara Winther. Photo by Sailing Energy. 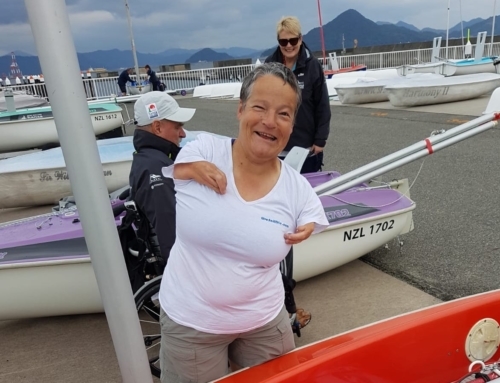 Laser Radial sailor Sara Winther finished the week in 17th place and will now head back to Auckland to continue her training before heading back to Europe. Congratulations to these amazing sailors!